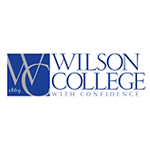 Stevens Strategy completed an analysis and assessment of the financial operations at Wilson College. Mike was great! (He gave) a thoughtful and provocative presentation on small college finance, particularly aspects of Wilson’s financial opportunities and challenges.